Late Life Cover also often used for Funeral Insurance offers much more, allowing a discounted fixed cost life insurance plan with the coverage lasting up to age 91. You will need to complete an application form, but the there is no automatic medical for life insurance of up to €50,000. You choose the amount of cover (from €10,000 ) and to get you started, we will arrange for your first month’s cover absolutely free! Always call us to discuss your current health to ensure this is your best option, call: 01 845 0049. 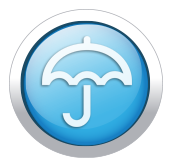 At OneQuote.ie, we are committed to making arranging your Life Assurance, easier and more affordable. Late Life Cover is suited to those who have left it late to arrange life insurance and are interested in availing of a fixed discounted premium and cover guaranteed up to age 91. Late Life Cover is a plan aimed at the over 60’s. It provides you with up to €50,000 of life insurance to organize a nest egg for your family, or to pay any outstanding bills you might have after you die, including funeral insurance costs. Late Life Cover starts from just €15.00 a month (excluding the 1% government levy) making it really affordable. The costs of your regular payments depend on your age and the amount of cover you choose. You must keep up your payments to stay on the cover. The lump sum is guaranteed and the monthly payments remain fixed throughout the policy term. You could leave the lump sum to your family and loved ones to help pay the cost of funeral expenses, cover any loans or bills you might still have when you die, or to leave a small nest egg to grandchildren. Old Age Coverage: You can choose coverage up to age 91. No Automatic Medicals: We don’t ask you to take a medical unless necessitated by poor health. Guaranteed lump sum: You can choose the amount of life cover (from €10,000 to €50,000). Free Cover: Your first month’s life cover is provided at no cost. Terminal Illness Benefit: Automatically applies to this policy. Advance Payment: Advance payment of up to €10,000 to cover funeral costs exists ahead of probate. Claims Assistance: “Helping Hand” assistance and support in difficult times. Your monthly payment and your level of cover are fixed from the start.